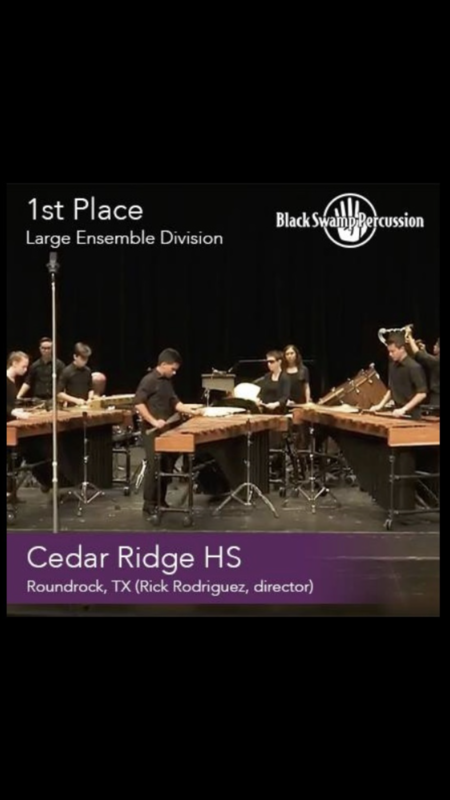 Congratulations to the Cedar Ridge High School Percussion Ensemble for scoring 1st place in this year’s Large Ensemble Division of The Black Swamp Percussion Ensemble Showcase. There were 31 total entries from around the US, with 9 large ensembles participating in the showcase. Rick Rodriguez is the ensemble’s director.